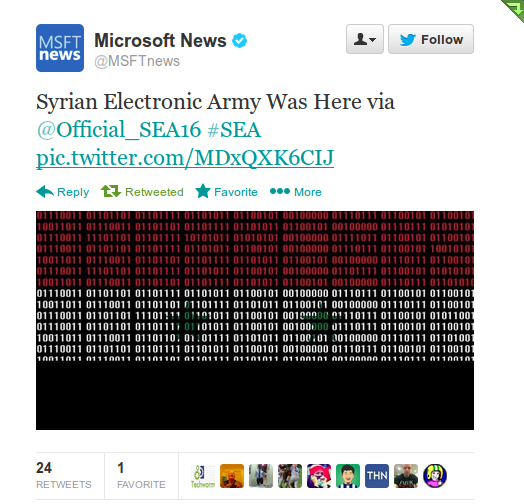 The Syrian Electronic Army is claiming responsibility for compromises of the official Microsoft blog as well as the official Xbox and Skype Twitter accounts. 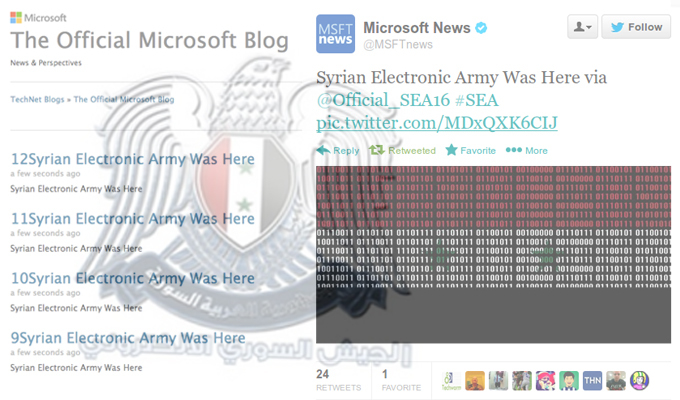 Just a few days after it hacked Microsoft’s Skype blog and Twitter account, the Syrian Electronic Army (SEA) took to some of the company’s other social media accounts over the weekend, hacking both its @MSFTNews and @XboxSupport Twitter handles along with the company’s official blog. The post reiterated the same anti-surveillance message – word for word – that the SEA broadcast over Skype’s Twitter account last week. 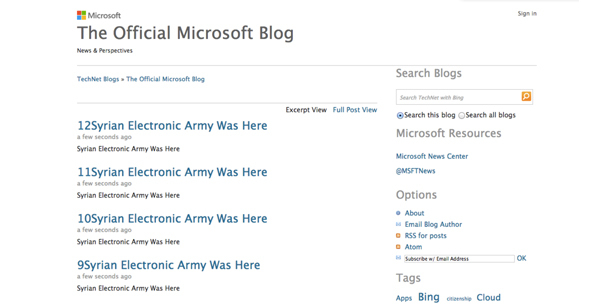 Meanwhile Microsoft’s official blog, hosted on Technet, the company’s blog network, was rigged to display a series of pro-Syrian sentiments (SEA Was Here… Long live Syria! etc.) before redirecting some users to the SEA’s website. The same SEA Twitter account went on to tweet screenshots purportedly taken from conversations between Microsoft insiders – although it isn’t entirely clear if the SEA had direct access to Microsoft employee emails. 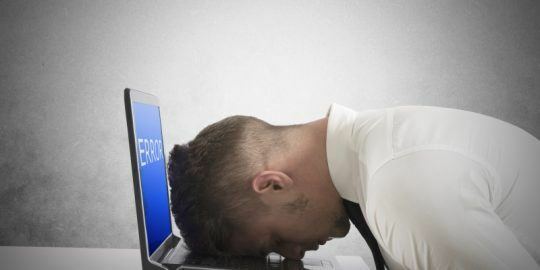 Microsoft dealt with the hacks swiftly on Saturday – compromised accounts remained offline for just a few hours – but the company insisted that no customer information was compromised by the hack. “Microsoft is aware of targeted cyberattacks that temporarily affected the Xbox Support and Microsoft News Twitter accounts. 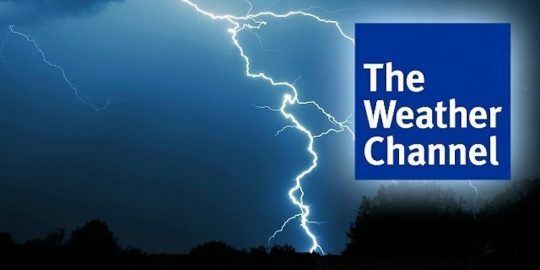 The accounts were quickly reset and we can confirm that no customer information was compromised,” the statement read. A SEA member that goes by the pseudonym “Syrian Eagle” told Mashable over the weekend the group has more documents and details it has yet to publish and warned the attack was “just the beginning.” Further comments made by “Syrian Eagle” went on to echo the group’s anti-surveillance stance. The Microsoft hacks are the latest in a long line of attacks by the pro-Syrian group. 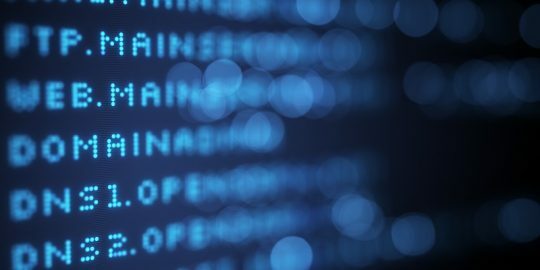 Last year saw the group breach high profile media sites like the New York Times and the Washington Post but it appears the NSA surveillance revelations from the last few months and Microsoft’s alleged stance on them may have sparked a new wave of hacks.